The current site is an existing ranch of 640 acres dedicated mainly to vineyards and walnuts. The master plan done by Maria Elosua, shows the location of the hacienda, winery, etc etc. The client requested the design of a main residence and a small lake. One of the considerations was to minimize the cutting of existing walnuts. Following the development of the masterplan, the architects focused on the development of the main residential quarters. The 'hacienda' layout was based on the traditional Mexican country house typology, where the most rooms are aligned around two main courtyards. 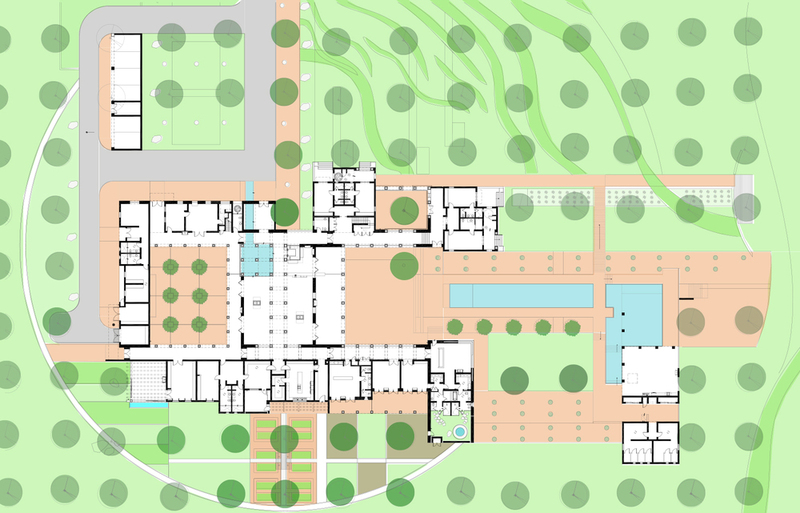 One of the courtyards is completely enclosed; while the other is open to the landscape, featuring an elongated a reflecting pond.